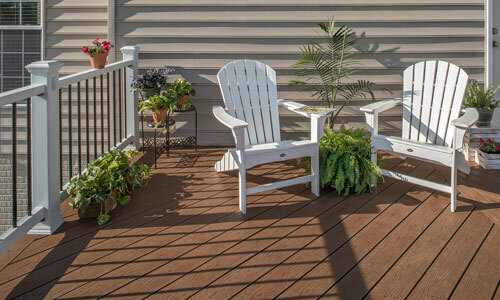 Trex Select Railing | International Wood Products, LLC. The Select system is perfect for DIYers, available in a clean, Classic White color with round black aluminum balusters. Want to change it up? Consider integrating another color by utilizing Transcend post sleeves, caps and skirts!